*Current ClairAudient speaker owners are able to upgrade to V3. Visit the V3 upgrade page to find out how. The ONE-V3 loudspeakers from Audience consist of a single proprietary Audience 3″ full range driver and a 3.5″ passive radiator on the back side. Like all ClairAudient loudspeakers, the sound delivered by The ONE is highly resolving, dynamic, ultra coherent, seamless and low distortion. This is due in part to the drivers being able to run full range with no crossover. Crossover parts, while necessary in many speakers, can smear the subtle timing of signals, resulting in a loss of coherance and a blurring of fine harmonic and low level detail. By using a full range driver with no crossover components those details come through The One speakers unhindered. Audience The One V3 speakers include the best of the previous V2+ versions in addition to some great new technologies. The improvements of the V3 loudspeakers are resulting from the implementation of improved voice coil technology. The V3 voice coil provides faster rise time and greater control of the driver. The One-V2 utilizes a single proprietary 3" full range driver. This is no ordinary driver, and has taken some time to perfect. Below are more details on it's construction. The new driver utilizes custom OHNO oxygen-free copper (OCC) leads between the motor assembly and the speaker lugs for improved conductivity. The end result of these improvements is not subtle. The V3 loudspeakers are notably better in just about every aspect. The resolution is greater and the background is quieter resulting in a dramatically more palpable and tonally rich presentation. Dynamics and sound staging are also improved. The combination of these new features is not just an upgrade ... it warrants a whole new model version. To get the best sound out of The One-V2, you will need a bit of power. Small amplifiers will not light these up to their potential. An amplifier in the 50 watt range will really enable these to perform their best. I have two systems, my main listening system and a desktop system that I am currently building up. My end goal before I retire is to get rid of my main system and build a really nice desktop system. 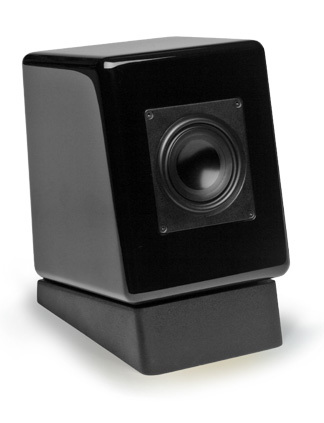 Speakers: Orb audio - these are normally used as rear satellite speakers for a surround sound system. They are basically 3" drivers in a ball shaped enclosure. I slotted the Audience speakers into each of these systems. In the main rig, they performed very nicely. I do not listen loud and these were great in that role. I ended up with the speakers about 5 ft apart and my chair about 3 feet in front of the speakers. It seems like the closer you get, the better they sound. I added a REL T5 sub into the mix and this was now a full range system with nothing missing. Nice soundstage, good tone saturation and a great PRaT. I then removed the sub and put my chair about 1 foot in front of the speakers. The sound was now really immersive, like a big pair of headphones. The best thing though was the precision and timing. I see why people compared them to electrostatics. This just totally addictive. These speakers were bought for my desk top system though, so I moved them to that system. The first thing I noticed was that the apparent bass had increased, I guess due to being so close to the wall. This balanced the sound out very nicely. I never felt as if I were missing anything. I did not get quite the precision and timing I got with them in the other system though. The Rega, while fun and bouncy, is just not as good as the Croft overall. I did get great tonal color and my foot was always tapping whenever there was a beat. These were, overall, exactly what I was hoping for in my desktop system. Totally happy with my purchase. Bought these for my wife's new office to replace large Maggie 1.6's that she loved but no longer fit in (if they ever did.) The rich and textured purity of tone and liveliness took us by surprise. Suffice to say, she no longer misses the Maggies. Click the button below to add the Audience The One V3 Speakers to your wish list.